Please use this template when submitting to Late Breaking Research and do not exceed 2 pages (mandatory). 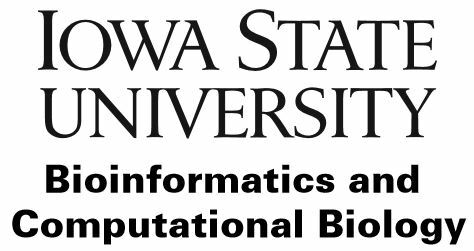 ISMB 2016 brings together Bioinformaticians and Computational Biologists working in a wide range of disciplines, including molecular biology, biology, medicine, computer science, mathematics and statistics. Papers that demonstrate both the development of new computational techniques and their application to Molecular and Systems Biology, with significant outcomes to biomedical, agricultural, and environmental questions are especially encouraged. Submitters will choose the area best suited to their paper during the submission process. Authors are to provide a 2 page, total, extended abstract of their work, including one (1) figure (11pt font, 1.5-inch margins). References can be included in the two pages. Submitters may choose to provide a link to a short (<=5min) video (eg. youtube) of them presenting their work, to assess presentation skills. Submissions will also be evaluated on the potential for an excellent and interesting presentation. Significance, interest to the bioinformatics community, and biological/medical impact will be the key evaluation criteria. Each submitter must provide a title, a short one (1) paragraph public abstract for inclusion in the electronic conference program and website. A one or two (1 or 2) sentence summary of novelty and significance of the work is to be included.